Hoarding is a mental illness that affects a person’s social, mental, and physical wellbeing. About one in every 300 American adults suffers from this disorder, so you’re certainly not alone if you’re compelled to stockpile belongings you don’t really need. The holidays are hard for hoarders, not just because of the strain hoarding has already caused on family relationships, but because this is the most tempting time of year to purchase things. The urge to acquire new things strikes everyone around the holidays, what with all the deals and advertisements out there, but the shopping fervor is particularly difficult for hoarders to handle. Follow this advice to make the holidays more enjoyable this year for yourself or a hoarder you know. Feelings of depression and social isolation affect a great majority of hoarders, making the holidays a particularly upsetting time to face the issue. If you or your loved one struggles with hoarding, do your best to overlook the issue – at least for now. After all, arguing and nagging won’t help. It might even make things worse, or at least more unpleasant during the holidays. 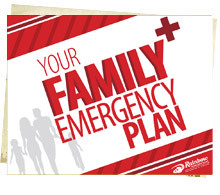 Through Christmas, do everything you can to prevent the clutter from hindering family plans. Hold get-togethers at another person’s home and don’t let hoarding become the topic of conversation. Then remember, the New Year is right around the corner. This could be the perfect time to make a meaningful resolution: that you’ll work on your hoarding issue so the next holiday season can be happy, healthy, and clutter-free. Hoarding disorder is often associated with the need to be perfect and reduce waste. These obsessions come to a head during the holidays. You might find yourself trying to pinpoint the perfect gift to make someone happy, hoarding failed gift attempts in the process. You could also be concerned about wasting gift wrap, ribbons, boxes, and bows. Striving for perfectionism and trying to reduce waste are praiseworthy goals, but don’t let them rule you and your holiday season! Select your gifts carefully – perhaps opting for experiences rather than things, as highlighted above – and have faith that the recipient will appreciate your thoughtfulness, even if the gift isn’t perfect. Then, on Christmas morning, save a few of the most useful boxes and prettiest bows, but let the rest go out with the trash. As a compromise, recycle what you can, including cardboard boxes. This holiday season, remember to offer a little forgiveness, both to yourself and your loved ones. Everyone has shortcomings, and life will go on whether you decide to keep or toss gift wrap, whether you come up with the perfect gift or not. Focus on what makes you happy and let go of everything else. From everyone here at Rainbow International®, we wish you a healthy holiday season and a Happy New Year!